Joining or donating to Wingspan is not the only way that you can support the conservation of our birds of prey. Your time is also of huge value to us. Volunteers fulfill a vital role supporting the work that we do here at Wingspan. 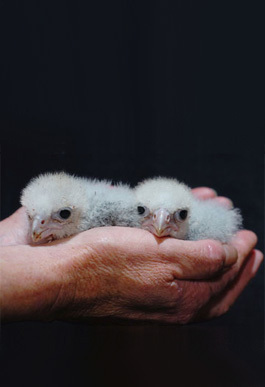 Whether that be preparing food for our many birds, running a fund raiser at your local sports club or helping keep our front of house looking ship shape, all of these things make a big contribution to the conservation of New Zealand birds of prey. WE NEED YOU! 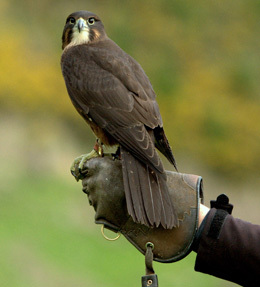 There are a wide range of volunteer opportunities available here at the Wingspan National Bird of Prey Centre. Below are just a few examples of the volunteer opportunities we have available. These are subject to availability and are filled on a first come first served basis. But please keep in mind that the most helpful volunteers are those that can commit to short periods on a regular medium to long-term basis, or those that have a specific skill that they can use to support a particular project or aim. If you wish to apply please download and fill in our Voluntary Support Application Form and submit it by email to wingspan@xtra.co.nz or post to Wingspan Birds of Prey Trust, Volunteer Co-ordinator, 1164 Paradise Valley Road, Rotorua, New Zealand. 7)	have a sense of humour! •	Garden and grounds maintenance. • Cleaning of the reception and museum area. • Procuring fresh food, e.g. rabbits, hares, exotic passerines and feral pigeons (all of these must be clear of lead shot and must not have been poisoned). • Preparing food – this takes up lots of time – and although not the most pleasant of jobs it is one of the most helpful ways that you can support our avicultural team. Front of house volunteers: Wingspan is open seven days a week, 364 days of the year. Manning the shop and reception desk supports our team by freeing them up to do all of the other work it takes to run a bird of prey Centre. It might even mean they get a day off now and again! In The Office: There is a surprising amount of paper work involved in working with birds of prey! We need help entering data from the various research projects that we have underway and updating our research repository. Scientific knowledge drives effective conservation management. This job is not to be sniffed at – only by entering and analysing the data we collect can we understand how to best support our threatened birds of prey. Field volunteers: Wingspan is involved in and runs various restoration and research programmes around New Zealand. Although this is generally the most sought after of our volunteer opportunities the need for help varies annually and opportunities are not always available. We advertise these opportunities in our E-Newsletter and on the Conservation Jobs website when available. Subscribe to both of these to find out what opportunities are coming up near you! Other opportunities: Above are just a few examples of the opportunities available to support Wingspan using your voluntary time. However there is no doubt that many of you have other professional experience that would be invaluable to the running of our trust. 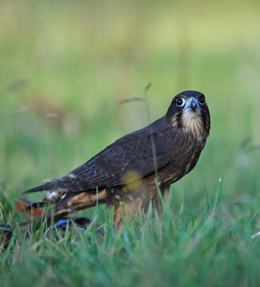 If you are interested in sharing some of your expertise and contributing to the success of our programme please do contact us phone: 07 357 4469, email: wingspan.nz@gmail.com or drop by and see us at the Wingspan National Bird of Prey Centre in Rotorua at our new centre from August 2018 – it would be great to hear from you! All job opportunities are posted on the New Zealand conservation jobs web site and in our E-Newsletter. We recommend that you subscribe to our E-news below and the Conservation Jobs web site if you wish to receive regular updates on conservation jobs available in New Zealand.